Engines Stalling: Are The Spitfire In Free Fall or Expectations Too High? After their match with the Houston Outlaw last night, the London Spitfire have a 5-6 record in their last 11 games. This has resulted in the Spitfire missing the stage three playoffs and has some Spitfire fans starting to lash out with comments claiming the team don't practice or work hard enough and the coaches are the actually terrible. It's in stark contrast with the reaction to the teams performance in the first two stages, so it makes me wonder are the Spitfire as bad as some sections of the Spitfire fan base think or are they overreacting because they gotten used to winning so soon? To look in to this further we need to take this back to stage one, where the team were under the leadership of Beoum-Jun "Bishop" Lee and the dive/moth meta was at it's optimal point. The team was formed from two of Korea's best APEX teams in GC Busan, a dive heavy team that became the first Royal Roaders in APEX history and four players from the Kongdoo Panthera line up that came runners up in season three using a slightly more methodical "wear them down" play style. After a shaky performance in the pre-season loss to the Los Angeles Gladiators and a dominating victory against the San Francisco Shock. Both analysts and fans alike, had the Spitfire in the range of second to fourth best team in the league. They expected the Korean's representing London to be thereabouts but not to take the title itself and the team met those expectations when finishing the stage 7-3. The team started their season 5-0 and were brought back down to earth after a 2-3 loss to at the time, middle of the road Boston with little to no complaints from fans. The team went on to and finished the last two weeks of the stage on a 2-2 record after losing to fellow stage title contenders the Houston Outlaws and New York Excelsior. Spitfire fans were excited that the team had made the playoffs, the expectations were met and they were happy at just making it this far. With the team having to play against both Houston in the semi-finals and New York in the finals, after just losing to these two same teams in the playoff weekend. Most fans felt that third place was a good enough start to the season and a great place to build from. So when the team beat Houston 3-1 in the semi's and then completed their 13 hour competitive day with a 3-2 over NYXL, the players, coaching staff and Bishop were taking all the plaudit's. Gesture had quickly asserted himself as one of if not the best main tank in the league and while fans wanted to see more of Fissure, there were no calls to get him into the line up. Birdring was the best DPS player in the league and his partnership with Profit was something that needed to be maintained, playing Rascal wasn't even being spoke of and Bishop was turning his "reputation" around after a previous failed coaching attempt. The second stage came and the meta had changed. While dive was still the main composition in the league, Mercy's position in it had changed, freeing up more support heroes to be used, the scheduling had also slightly changed. 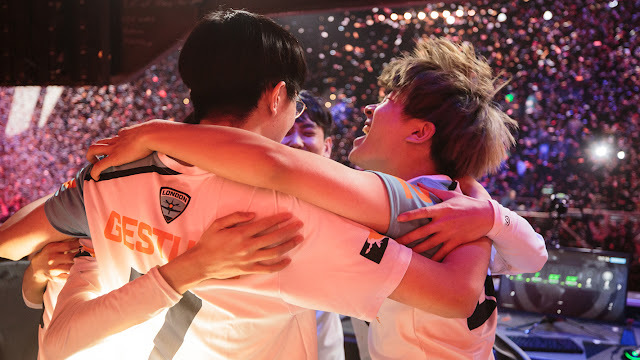 Now the team had to once again play Houston and New York but this was to start every stage till the end of the season and while Houston's Anti-Dive play style is the perfect counter to the Spitfire resulted in a 2-3 loss, the Spitfire came back and beat NYXL 3-2 to level out the week. 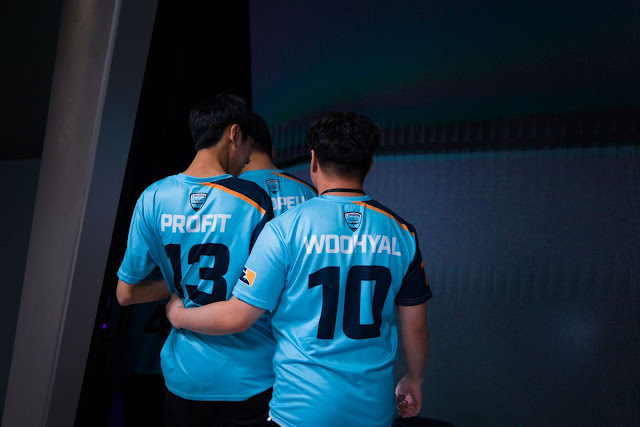 The Spitfire continued to do well and while there were a few bumps along the way, the team reached week three on a 3-1 record and positioned nicely to start the stage. Then in week three the Spitfire and Bishop parted ways, though it was never stated why Bishop left the team. There were rumours that he and the team weren't on the same page and it resulted in his departure. At this point most fans still backed the team, quickly referring to how it wasn't just Bishop who had led the team to the position they're in and that they would likely have been with out him. The team had the fan base support and they expected the team to carry on as they had prior to Bishop being the team head coach. To their defence they did, finishing the stage with an 8-2 record and only losing to the LA Gladiators 1-3 and finishing the stage second. At this point, fan expectation was through the roof. The team only had to play an in form an "meta lucky" Philadelphia Fusion to then face the NYXL again in the final and with the slight change in the playoff format benefiting the Spitfire and preventing the 13 hour day they had in stage one, expected nothing else but another stage win. So when the unexpected happened and the Fusion, a team that hadn't taken a map off the Spitfire in two previous attempts beat the Spitfire on a map they were unbeaten on to knock them out of the playoffs. Everyone was stunned! Birdring had been playing to an MVP level up until the semi-final, the team had connected so well and their coordination was the best it had been and we had proof that the team didn't need Bishop. So to lose to a team such as the Fusion was mind blowing and shouldn't of happened. Stage three arrived and while the team were back home in Korea on their two week pre-stage break. Blizzard World dropped into the map pool and Oasis (Woeasis) the Spitfire's worst map in the entire pool was moved to the tie breaker. It was a change that went against the team, as in stage three the Spitfire went to the tie breaker map in 6 of their 10 games, losing 4 of these matches. The team finished an average 5-5 for the stage and missing out on the playoffs for the first time and there was outrage from some fans. It was this sudden drop in form that saw a 180 degree turn on the team. Birdring had gone from being the best player in the league to calls of him being benched, Hooreg's ability in the team was underrated, there were people stating it should have been him traded instead of Rascal and that they all wanted him to return and despite still playing to his high standards, Gesture was also being targeted due to Fissure's return to form. Ignoring the fact that Gesture has played to such a high level and in all but three maps this season, they still wanted Fissure to play over him. The level of expectation reached a point where it was all or nothing in just three stages. Stage four has arrived, we're in a tank meta and one that should in the long term be a benefit to the Spitfire. However, after last nights 0-4 loss to the Outlaws. it seems that this level of expectation is at a new level. After a discussion about which patch would be used between OWL, Blizzard, the teams and players, resulted in the patch announcement the day before the stage starts. Statements of the players not working hard enough, the coaches being clueless or that we refuse to adapt as a team to a meta and only want to play dive are getting to the point of being over the top. Factors such as the tank meta being perfect for Houston, or the fact that the team are slow to adapt to new meta's, especially when they are announced at such short notice. The fact that players do have rises and dips in form such as you would expect from players in the NFL for example seems to have been forgotten by some. While you're a fan of the team and considering that they have been and won one stage final and finished third in another. To say that the work isn't being put in by the team is not only rude but outright disrespectful to both the players and coaches alike. Finally the gap between the teams deemed at the top and the rest of the league has dropped significantly since the start of OWL, so to underestimate most teams in the league is a mistake not by the Spitfire themselves but us as fans. As fans we're going to express our thoughts. I do so with the Good, Bad and Ugly on a weekly basis and while last nights result wasn't good performance wise, to make the comments above is more destructive than anything else. In my opinion expectations have taken on a mind of their own and we've been spoilt by the results of the first two stages. Not every meta will be the ideal one, every player won't be in the form of their lives and while stage wins are nice, the main goal is winning the season playoffs. OWL is in its infancy and the teams true standing wont be known till after the first season has been completed.